Often before you buy a motorcycle, you’ll read the reviews online on what people have to say about the motorcycle that you’re interested in. 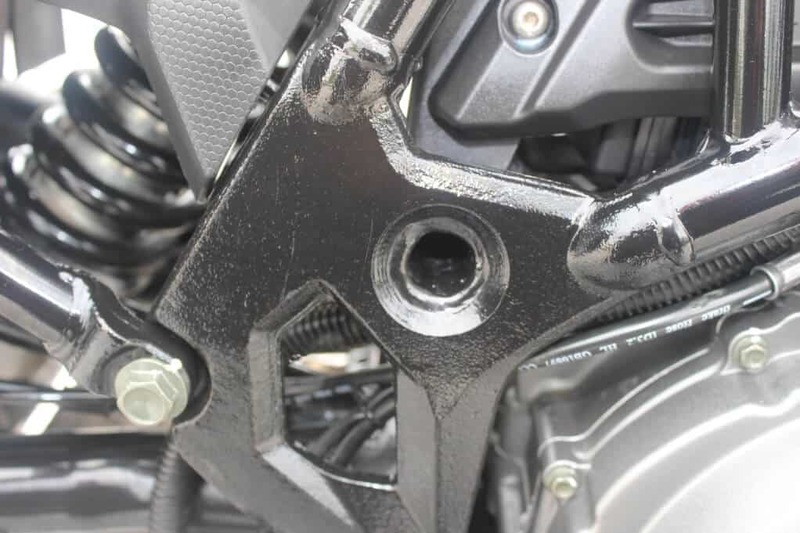 Unfortunately, for Benelli TRK 502 there wasn’t many and the motorcycle news website that I was relying on has given a very bad review on this machine. Despite the negative review and going through the specifications, I decided to get one for myself. One of the other factors made me getting this machine is the Benelli distributor in Malaysia is MForce. They have been providing excellent after sales service for my SYM Scooter which I rode to complete my 6 Nation’s borders ride and they often listen to their customers feedback. 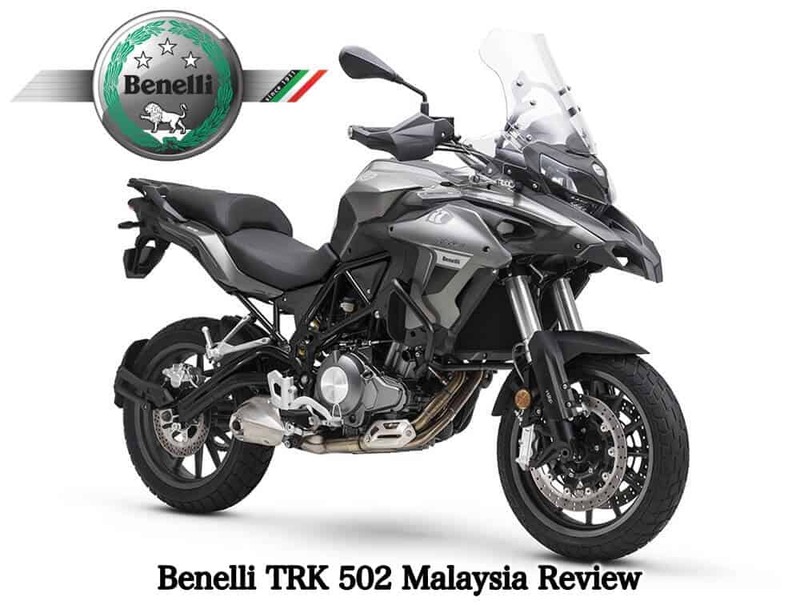 In this Benelli TRK 502 Malaysia Review article, I’ll share my opinion as an owner and hopefully it will be useful to others. I have now clocked over 5000KM, used it close to 6 months and I can say this motorcycle is great! Whilst at the first close look at it you can see the construction of this machine’s quality is lacking (Frame paint, Welding on certain parts and even the Benelli stickers looks cheap) but if you ridden it and looking at it from the overall perspective, it is a comfy machine and provides excellent handling with a great 500CC engine. If you going to compare this with a 650 Kawasaki Versys, you will feel it doesn’t provide much power but it is still enough to accelerate the motorcycle beyond speed limits in a decent time, i.e. 0-100KM/H can be done under 7 seconds. Below are the Benelli TRK 502 specifications. Below is the short video on the stock items that Benelli TRK 502 offers. Riding this machine is phenomenal! It is very comfortable, provides excellent handling and you will be in good riding position all the time. I’m 181CM tall and the windshield keeps the wind away. Whilst the brakes are equipped with ABS, the rear brake feels a little spongy or soft but it does work. It has a good engine! It accelerate in a humble way and you wont get excited by the initial torque but it wont let you down either if you keep in your mind it is only a two cylinder 500CC. I’ve also ridden 11 hours in a day whilst I was doing Thousand Corner of Malaysia trip and four times to Thailand from Kuala Lumpur, it just feels great. The top speed of this machine can reach up to 181KM/H based on a video that I’ve seen on YouTube and my personal test was 175KM/H with my hard case panniers on. I have long way to go to put my exact words on this but for the first 5000KM that I’ve clocked, it has been very good for me. Maintenance interval is between 6000KMs and it requires 3.2L of engine oil (if you change the oil filter). The cost varies as it depends on the type of Engine oil you will be using and the oil filter will cost you about RM 30-35. You can get about 300-350 KMs for a full tank of fuel and this depends on the speed you riding, roads condition etc. It is fully loaded! Better than any other touring motorcycle offering in its class. It comes with ABS, Pirelli Angel ST tyres, frame protection retaining bar, USB charging port, lever protector, splash guard and the gear indicator on the dashboard is helpful too. It would be perfect if it comes with the center stand and a skid plate. The Benelli TRK 502 comes in three variants for Malaysian market and it is actually identical apart from the panniers and top box. 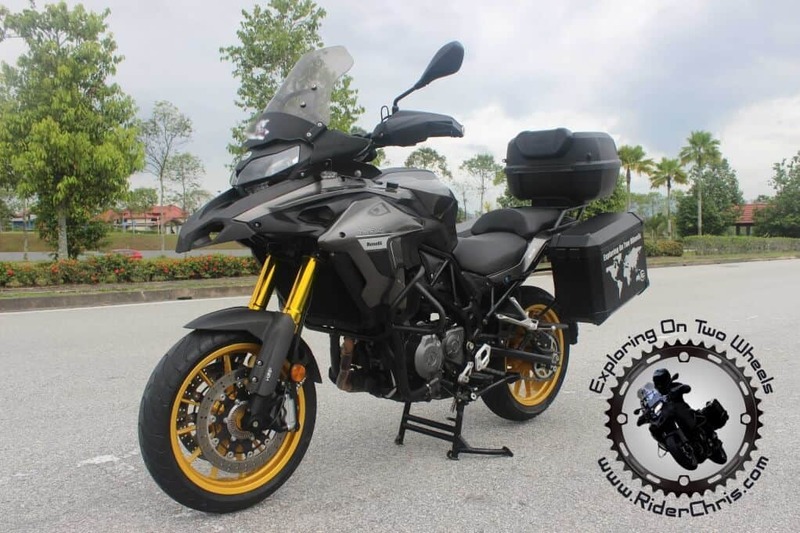 The base 502 without any panniers or top box is at RM30,621, the 502 with hard case panniers is at RM31,681 and at RM32,423, it comes with the addition of a top box. For the price that I paid for and with the extras that I got compare to other standard motorcycles, this is very good value for money. Despite the motorcycle has a dry weight of 213kg, it seems to fall away the instant the motorcycle gets moving. The engine has its power spread broadly across the rev range and no real detectable in sudden surges in power. This is in combination with Pirelli Angel ST tyres makes it easy to ride in wet roads condition with no power surges to worry about causing a loss of traction. Whilst some may think these power characteristics bland, I find it they are ideal especially for the inexperienced rider who may be using a motorcycle like this as a stepping stone to upgrade to the bigger CC machines. Any issues with the TRK 502? I did run into some issues with this machine as mine was from the earlier production but it’s often fixed quickly by MForce. I believe the current and future productions, there will be less or no issues but if you do experience any, you can always refer to MForce. If you have an interest on this motorcycle, I would suggest putting any doubts aside and take one for a test ride at least. Finally, based on it own merits; its equipment offerings, riding experience and most importantly the price tag, It gets a 4 out of 5 star from me. If you have any questions, drop them at the comment box below and please share this article via the social buttons.